This is something I came across while watching the DVD. 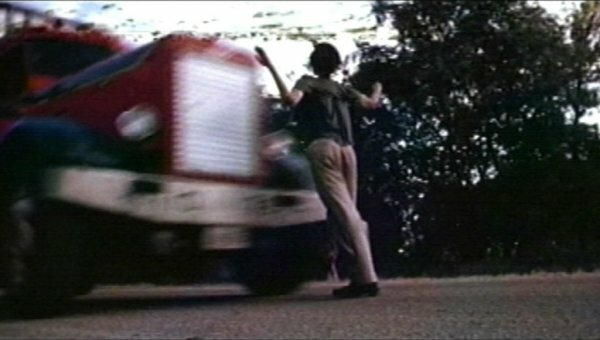 I thought I'd do a slow-mo on the killing of the Hitchhiker and found this rather interesting. If you're not seeing what I'm seeing, you're looking at the dummies that were propped up in front of the truck just before it gets hit.